“Nothing for us without us” is the battle cry of two young adults with autism. Both diagnosed at about 3 years old, their families refused to be tied down to their diagnoses. Both grew up in different parts of the country, one from the rural area of Laguna, and the other from the cosmopolitan area of Quezon City. Both Ian Lopez and JR Tan chose to make their autism known; fight for dignity, respect and equality towards a barrier free and rights based society. The12th National Conference and 2nd Southeast Asian Conference on Autism entitled “Living with Autism: Hope at Home aims to promote, first and foremost, acceptance of autism within the family. It seeks to empower families to make informed decisions and to take bolder steps to ensure quality life for their members with autism. Miguel Antonio P. Limon is the assistant division chief of the Information, Education and Communication Division of the National Council on Disability Affairs. 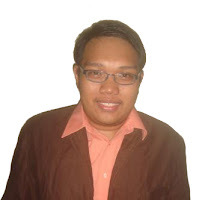 He has a Master’s Degree in Communication at the PUP-Open University as a scholar of the Philippine government thru the Civil Service Commission’s (CSC) Local Scholarship Program. Mr. Limon is a career service executive eligible of the CSC since 2004 and a 2011 recipient of the Australian Leadership Awards Fellowship Program in “Policy Development, Implementation, Advocacy and Monitoring and Evaluation on Disability Inclusive Programs and Legislations in the Philippines,” sponsored by the Australian government under the auspices of AusAid and Queensland University of Technology in Brisbane, Australia. 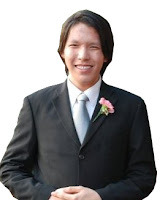 Ian Ferdinand Lopez is a scholar of the provincial government of Laguna, studying BA Sociology at the University of the Philippines Los Baños. Diagnosed with autism when he was three years old, he benefitted from the care of loving parents and early intervention professionals; and was successfully mainstreamed from pre-school up to high school. His started his advocacy as part of the Autism Resource Center and represented the PWD sector in the Philippine National Children’s Conference, the PWD Empowerment Seminar, the ASEAN Children’s Forum and the ASEAN Ministerial Meeting on Social Welfare and Development (AMMSWD). Gerald Sanderson “JR” Tan is a senior taking up BS Accountancy with minor in Biblical Studies at Messiah College Foundation. He dreams of becoming a Certified Public Accountant in the future. As a self-advocate member of Autism Society Philippines (ASP), JR regularly contributes articles to ASP’s award-winning blog and Angels Talk column in the Manila Bulletin. He also volunteers in ASP activities and co-facilitates in the Family Support Group. JR was guest speaker at ASP's 8th National Conference (2003) and 3rd Regional Conference in Cagayan de Oro (2011). JR is passionate about autism rights. He is a founding member of SPARKS-Special Partners for Autism in Recreation, Knowledge and Socialization (2002); participated in the UN Convention on Rights of the Child (2008), UNCRPD Conference (2010) and rallied for the implementation of the 20% discounts on medicine (2010). For more information of the conference, you may call us at telephone numbers (02) 926 6941, (02) 929 8447, mobile numbers (0917) 556 2075, (0923) 638 3771 or email aspnc2012@gmail.com.